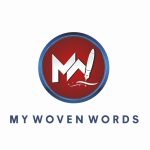 Welcome To My Woven Words! 1.Pour moderate amount of oil in a cooking pot. 3. Pour fresh or sachet tomatoes to fry on low heat. 4.Mix the grounded groundnut with little water or pour directly. 5. Pour the meat stock and add your seasoning (maggi, salt, pepper) to taste. 6. Allow to boil for 15 minutes on low heat. 7. Add Crayfish & dryfish(optional). 8. Put onion leaves when the water is about to start boiling & spinach after the soup is removed to avoid over cooking.